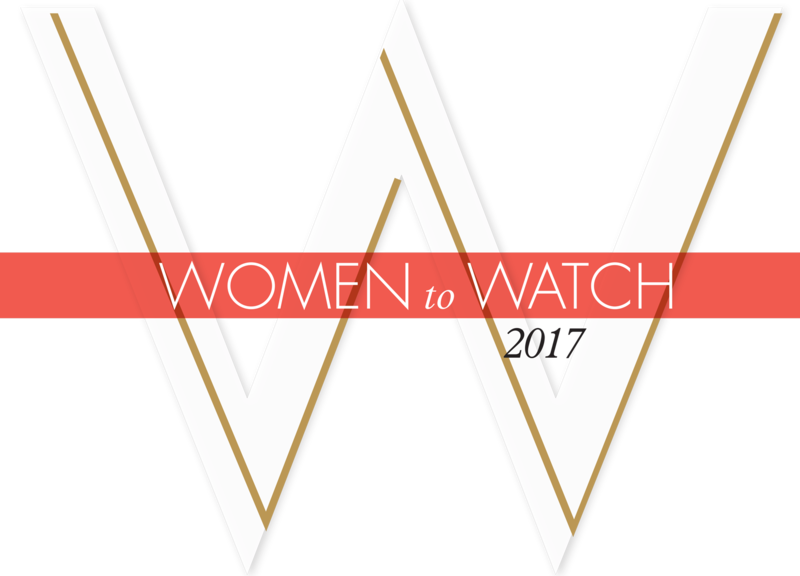 If there's a theme to our 21st edition of Women to Watch, it's collaboration. Many of this year's class are sharing insights and advice, dedicating themselves to lifting other women up the career ladder. 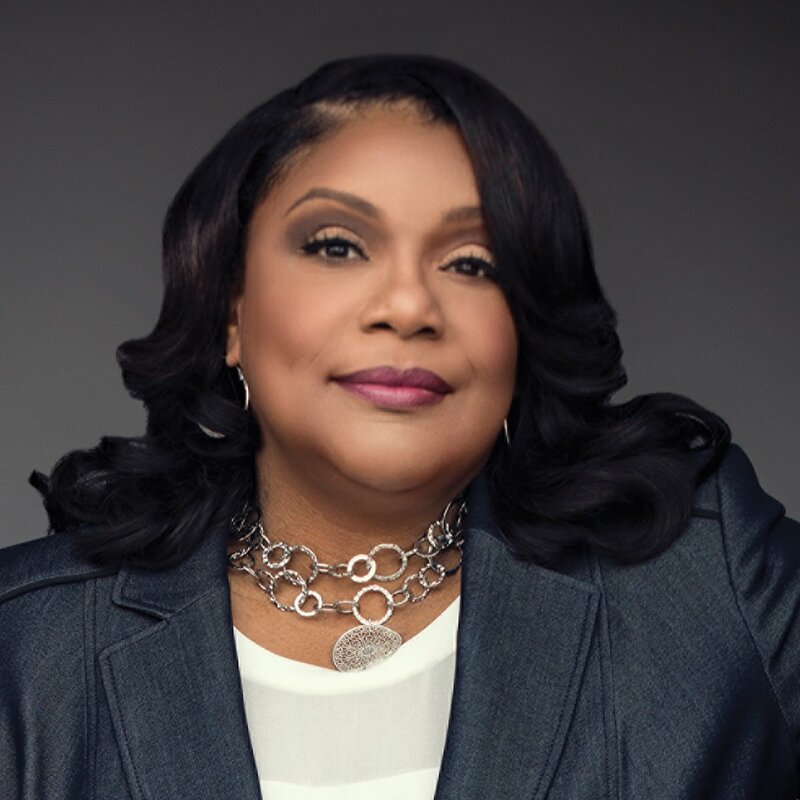 These highly accomplished executives aren't just inspiring others, but are often giving back by working to increase the number of women and people of color in advertising and marketing. 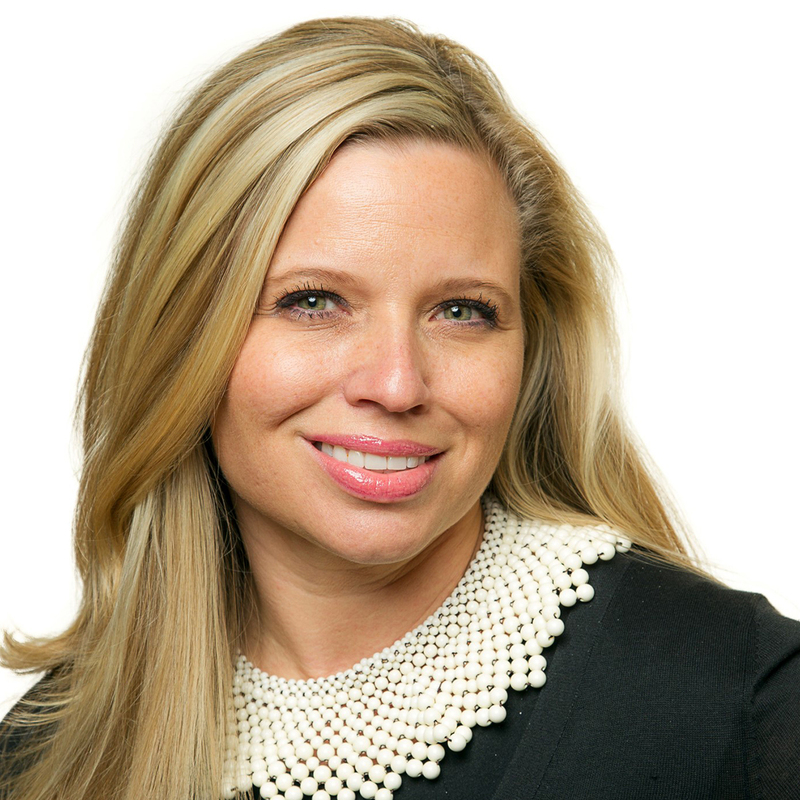 Known for her innovative approach to media (and less so for a short voiceover career), UM's U.S. CEO, Kasha Cacy, oversaw a 9% increase in revenue for the firm's U.S. business last year, with a slew of new clients and successful defenses of existing ones. Since she assumed the CEO role a year ago, the group has won accounts including Accenture, GoPro, Hulu and Fitbit. Cacy, who began her career as a computer programmer at Accenture, joined UM in 2007 and became president of its U.S. business in 2014. My very, very, very, very first job was in high school at a florist in our town. My job was to plant all the seeds for the spring flowers and vegetables, which was an immensely hopeful thing to do and felt really good. ... We would sit at these bays of little tiny dirt pots, and our job was to stick a single seed into each pot with our finger. The glorious thing was come two months later, they were flowers. So I think it taught me about how really little actions can sometimes result in big results. I worked with a really wonderful group of people, and there was a point in my life where there was a lot of change going on, because a client I had worked on went from one agency to another. Most of the people I worked with were going to the new agency, but I had this thing in my head about I wasn't going to follow a client to a new agency. And so I went and worked client-side. Three months later, I called the new agency and told them I'd made a terrible mistake and that I wanted to join them. What I learned was the people you work with are really important. You can have all sorts of job titles on your resume, and you can have companies on your resume, but none of that really matters if you're not working every single day with people that you love and who support you and who you support, and who you can make great things happen with. A while ago, probably 10 or 15 years ago, I was trying to become a voiceover artist in my spare time. I had two TV commercials that actually went on air that I did. One was for a ski resort up in Vermont and the craziest thing was my mom was listening. I didn't even know it had gone on the air, and my mom was listening to the TV and she heard my voice and recognized it. The other one was -- I will never forget this -- they called me into the booth and they were doing an ad for this crazy technology that would allow you to rent movies through your cable box and fast forward and rewind them and I was like, "That's amazing." It was the very first commercials for DVR. I don't even remember if they called it a DVR. I remember leaving and thinking, "I can't wait to get that." Photo credit: Courtesy of UM. 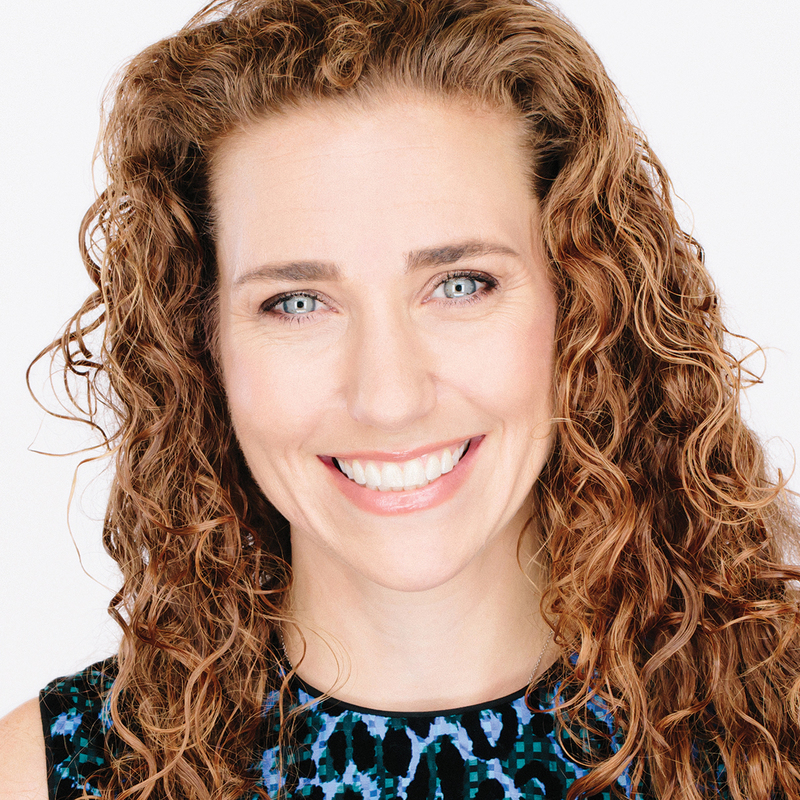 Allison Cerra presided over one of 2017's boldest moves, rebranding Intel Security as McAfee during a time when the company's long-removed founder was in the spotlight for all the wrong reasons. Still, Cerra decided it was best to keep the McAfee name because it is "synonymous with cybersecurity." The day the effort broke, she became CMO. Nearly two months in, she's now spearheading a global campaign. What is the biggest mistake you made in your career and what did you learn from it? There have been a few cases when I've logically brought people along with me on change management, made the case for why the business decision was needed, saw the heads nodding and thought I got there, only to later realize I misinterpreted people's willingness and ability to change. I now realize you can't underestimate the importance of bringing people along with you in your decisions. I would've pursued a joint degree in marketing and law. Marketing is as much about litigating a case, developing an argument and persuading your audience as anything else. Trial lawyers have excellent perspective on how to build an argument and win a case. Is the conversation about women in the workplace a necessary one or is it played out? While I've been blessed by learning from both male and female mentors, and I've not experienced anything but opportunity, I know this is not the experience for all women. I appreciate what different mentors can bring to the table and don't necessarily separate that by gender lines. I do believe there are certain sectors that lack female representation and think it's valuable to continue to drive conversation around how we remedy that and further support recruitment in those areas. Photo credit: Courtesy of McAfee. 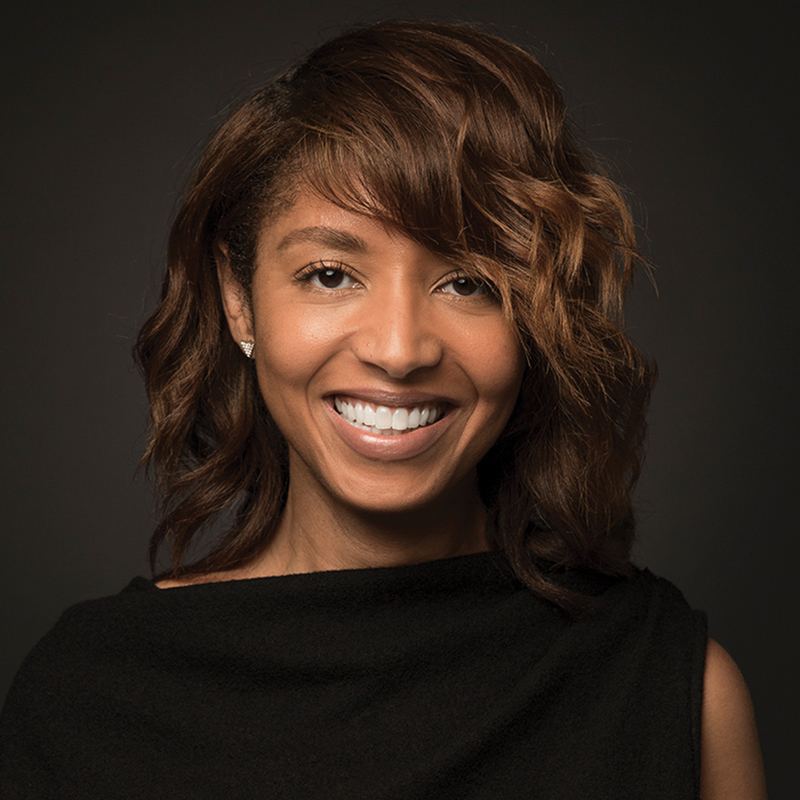 Former Ming Utility and Entertainment Group President Tara DeVeaux rejoined BBDO in January, having previously spent seven years at the Omnicom Group shop. Since her homecoming, she's helped push the agency's new formula: data x content x creativity = economic multiplier. BBDO is now talking to companies in categories it had not engaged with much before, like startups and tech, and it's deepening current client relationships and attracting new talent. There are almost too many to count. The early years taught me to always check with legal before presenting anything to a client. Later, I learned that a journalism degree was the best preparation for persuasive writing, and that you should never hire anyone who couldn't write. More recently, I've learned to focus on family over career because at least in my life, I couldn't be OK if they weren't OK. And finally, to do what you love but if that's the only thing that defines you, you're missing out. I would follow my heart more often than my head. Honestly, I'd rather talk about black people in the workplace. I see lots of women in advertising. But I don't see very many black people in client-facing positions, let alone in decision-making roles. I don't think that's overstated at all. Photo credit: Billy Siegrist, BBDO NY. Rita Ferro looks to put herself in situations that make her uncomfortable. 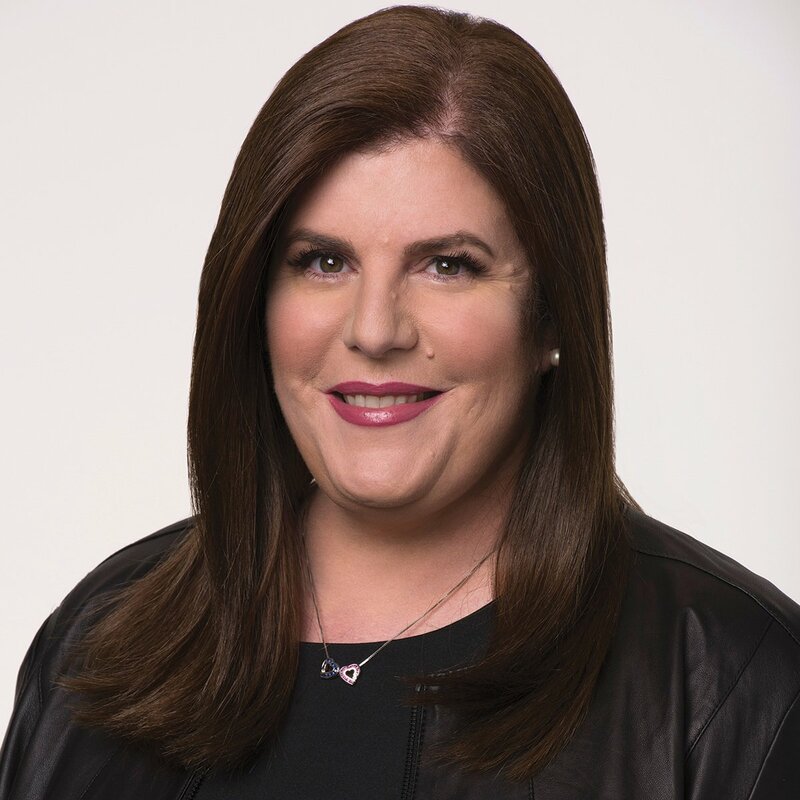 "I don't think I was a natural fit for this role," said Ferro, who moved her family to the U.S. from Latin America to lead ad sales for Disney Media and now heads the newly unified Disney-ABC ad sales division. "It's when things are uncomfortable we become the most successful." As a first-generation Cuban-American, Ferro learned early the importance of having mentors in your corner. Ferro, who has a 12-year-old daughter, doesn't believe in work-life balance: It's really "work-life integration," she said. Ferro is now charged with selling ABC, Disney channels, Freeform and Radio Disney in an environment where TV viewing is increasingly fragmented as more people watch content on nontraditional platforms and devices. "Given that we both started our current roles within weeks of the upfront season, and survived to tell about it ... I feel a special kinship with Rita," said Channing Dungey, president-entertainment, ABC. "I'm excited to be in the trenches with her." I would seek out mentors and sponsors to learn from and help me navigate the system, and raise my hand often to take on additional stretch assignments. My biggest opportunities for growth have come at moments when I raised my hand for more and took chances. Being a Latina and a woman in business, I can say with confidence it is necessary. Making sure we create an environment for women and minorities to have access and opportunity is a priority at the Walt Disney Co., driven from the very top by our chairman, Bob Iger. It has changed how we think about our workforce, the talent in front and behind the camera, and how we tell stories and develop characters we share with our Disney-ABC fans. My sister knows this but not many others are aware that I am a huge Fanilow! I love all of Barry's songs. When my sister and I went to his concert last year in New Jersey, she was both laughing and mortified that from the very first song I didn't sit down and I knew every word. I remember seeing Mountain Dew's unexpected "PuppyMonkeyBaby" 2016 Super Bowl ad and thinking there was a brave client behind the work. 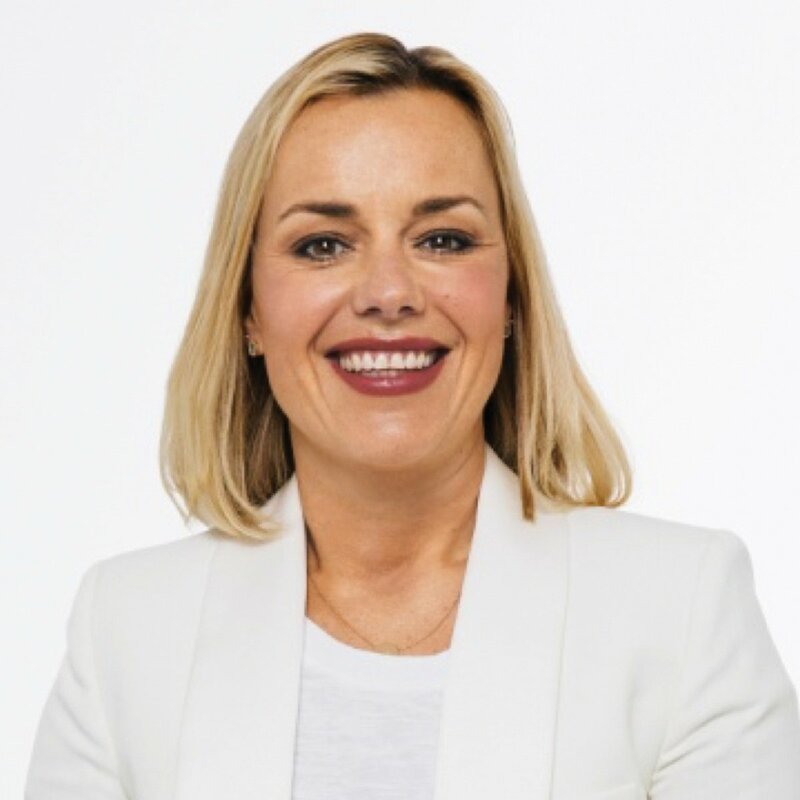 That brave brand leader is Sadira Furlow, who after breaking the internet with Mountain Dew, followed up with the hugely successful launch of PepsiCo's new premium bottled water, Lifewtr. When meeting Sadira, the first thing that strikes people is her lit-from-within glow. Sadira describes a feeling of unconditional love and freedom she received from her parents as being the foundation that allowed her to take bold leaps in life. That bravery has taken Sadira on an interesting path—from being one of the first girls to study at an all-male high school in Chicago to walking onto the University of Virginia's Division 1 softball team to trading a future career in medicine for a spot on the account team at Leo Burnett. It was at Leo Burnett where Sadira learned the skills to be a brand steward. 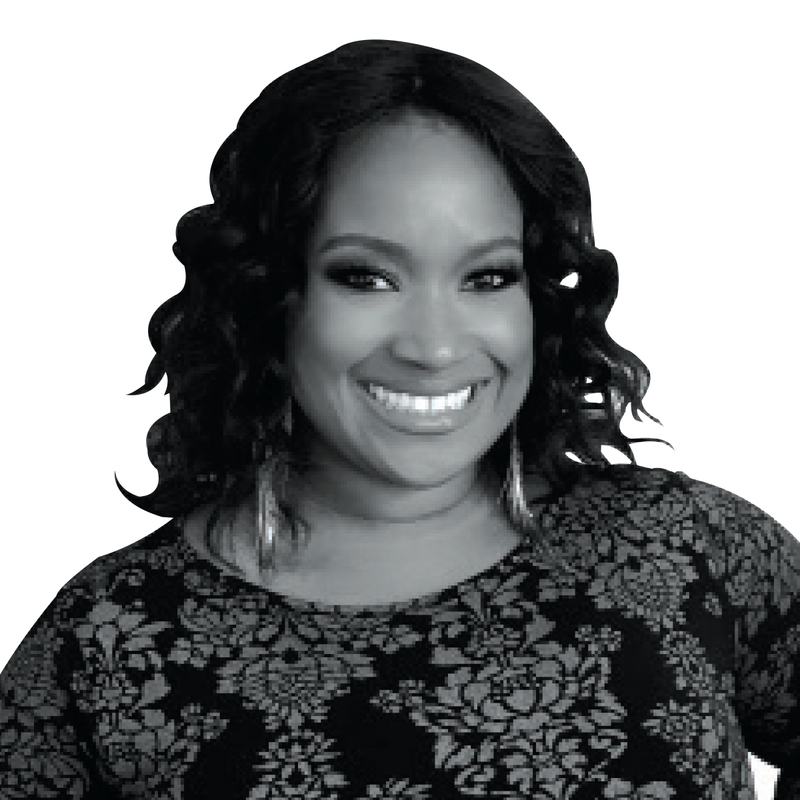 She applied those skills to building the New York office for Commonground Marketing, a multicultural agency, and continues to expand on them as a rising marketing star at PepsiCo. While Sadira has the bearing of a calm and seasoned leader, you can still see the lightning flashes of a determined young athlete who believes in her strength, prepares for each game and makes the people around her feel like they are part of a winning team, regardless of the outcome of the match. The biggest mistake I've made is not always using my voice. I've learned that what is popular is not always right and what is right is not always popular. You have to learn your voice, learn to listen to it and learn when/how to express it. Being a steward of the consumer and of a brand is not a popularity contest. I would focus more on collecting a variety of experiences that were near and far from my interests. ... My WOD—workout of the day—is to be an active participant in life. The greater the difference and distance between me and—fill in the blank—the more I'm drawn to learn about it, try it, experience it, get to know it. Look up, around, next to you, in front of you ... the point is take notice of life. This is where our brands live and thrive—in the real world. Don't just read the data on the slide—go find and spend some time with that 25-year-old millennial who enjoys travel and trying new things and overindexes on Instagram. First job ever was selling shoes in college. Most interesting was out of college, I had a confirmed job with a global advertising agency. However, about a month before starting, they needed to rescind the offer given a turn in the industry. I didn't have many options given most companies had completed hiring, so I decided to go to bartending school and learn how to make a few mean cocktails. A great cocktail is not dissimilar to a great cake or vinaigrette—it's all about the right balance to create the perfect taste. Photo credit: Sadira Furlow: Adrienne Grunwald; Chloe Gottlieb: Courtesy of R/GA. 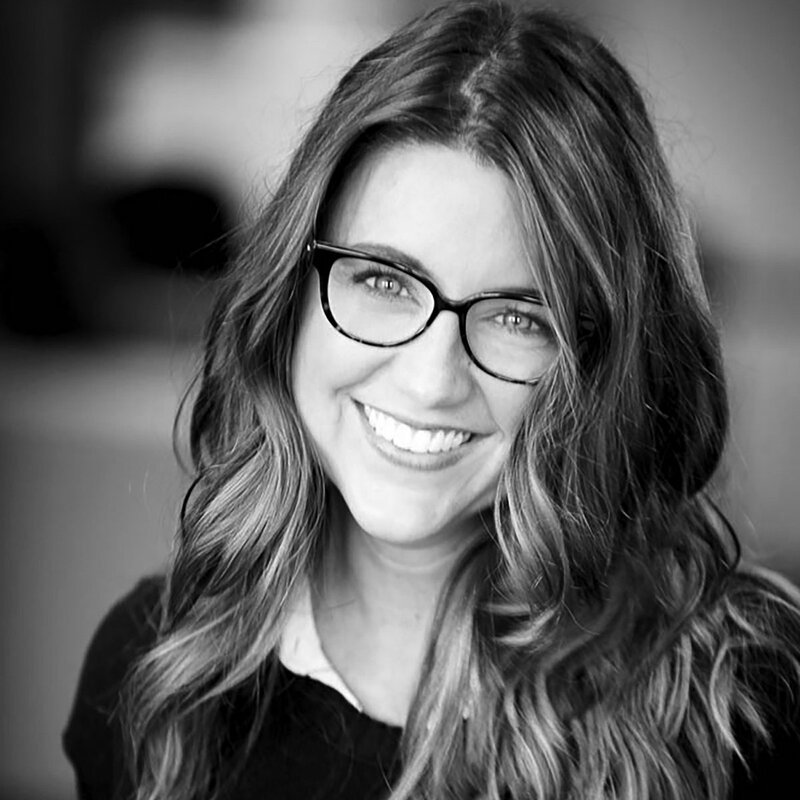 This spring, Kendra Hatcher King took on more of an integration role as VP-marketing and consumer strategy at SapientRazorfish, with the idea of bringing together brand planning, social strategy, content strategy and media. 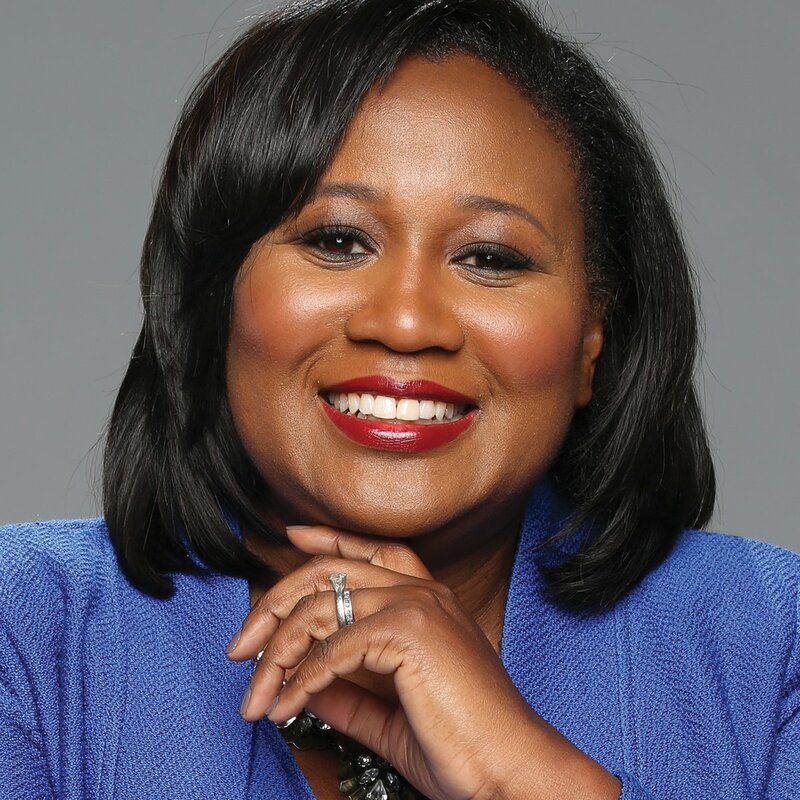 But she's also well known as a diversity champion, chairing the American Advertising Federation's Mosaic Council in 2012 and 2013, and is now working to quantify the impact of media images on how African-American women are seen and how they view themselves. Findings of the study, conducted with the AAF, University of Missouri and Zeta Phi Beta Sorority, will be shared during events including Advertising Week. Working at the fast-food restaurant Zantigo in Columbus, Ohio, when I was 15. After that, I had jobs in the mall, working at stores including The Limited and Express. I actually take pride in being able to sell on the floor. I think if you work in advertising, you should actually be able to sell. I hate to say mistake … but I learned a lot from it. 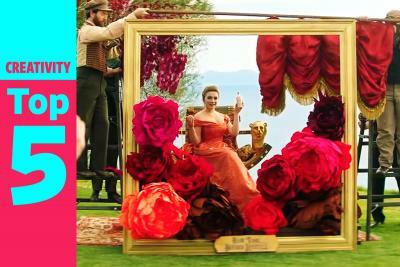 I had the chance to work with The Coca-Cola Co. I was on their account for about eight years when I was with MediaVest in New York. … Coke is an excellent client. They were challenging, they had great projects and were just really open to create new approaches. … But I stayed a long time. I don't want to call it a mistake, because I learned so much working with the Coca-Cola Co. and all my great clients. It made sense for the time, but I think I should have spread my wings and flown away a little earlier. 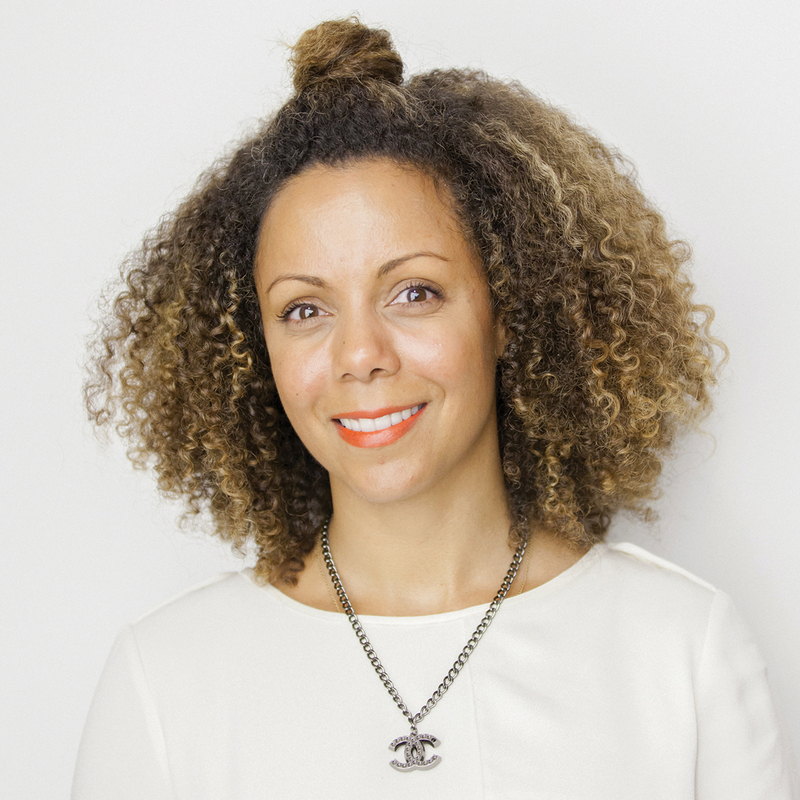 Media agencies have really been a fertile ground for women, on a talent and a leadership level. I had the opportunity to work under so many incredible women leaders, including Renetta McCann and Laura Desmond. I think that was a lot easier, quite honestly, because you had mentors and you had people to look up to. They were right there. You saw them and you saw how powerful they were and you saw the impact they were making on the client's business. In digital, it was a lot different. There are fewer women, for sure, fewer women leaders. The conversation should continue; it depends on what space you're in. It's great that we're talking about women holistically but I think it becomes a more interesting conversation when you start to also add ethnicity into that conversation. 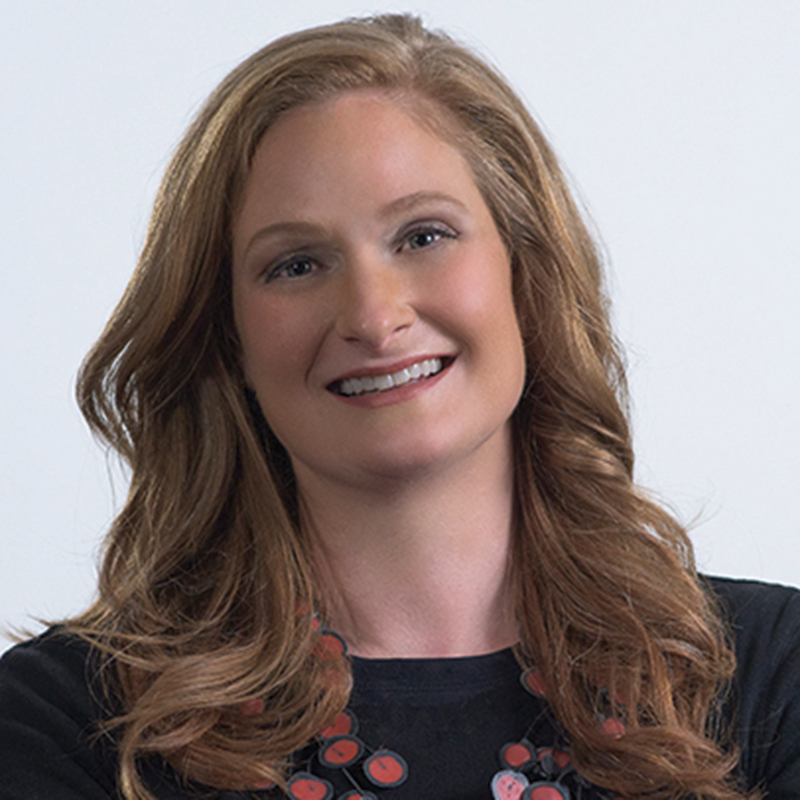 Stacey Hawes was named president of Epsilon's Data Practice in October 2016 to help brands including Williams-Sonoma and Patagonia use customer data and smart analytics to grow their businesses. Already, the soon-to-be Data and Marketing Association board member has helped turn the firm's previously declining data business into a profitable growth division. Hawes is also dedicated to heightening women's roles. 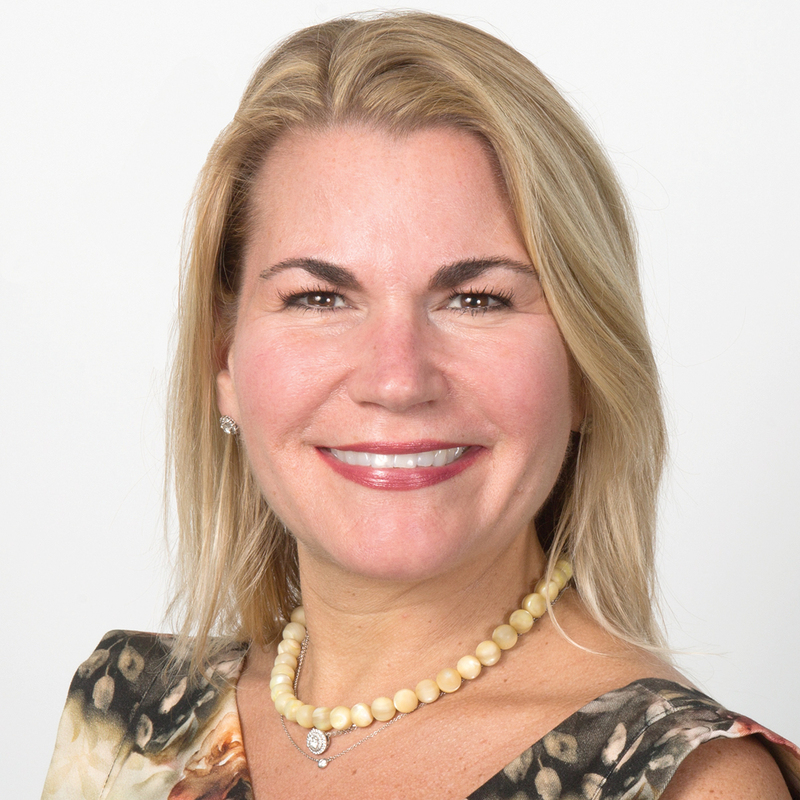 She helped spearhead Epsilon's Women in Leadership program and has promoted five women in the data practice to VP positions. Staying at a prior company too long when my heart wasn't into what I was doing. I learned that it's important to be passionate about what you do. When you're passionate and enjoy your work it shows in every aspect of what you deliver. Not to mention, you get much more satisfaction from your efforts. I wish someone would have told me that the biggest lessons you learn are from your failures not from your wins. While I still strive for perfection, I know now that when things don't work out there is a good lesson to be learned from it and I can continue to grow and improve from it and share those lessons with my team. I was an ice skater when I was younger and competed quite a bit. Actually, I used to dream about being in the Ice Capades! A few years ago, my kids were invited to a skating party and I offered to help them skate. When they saw my moves, they were so impressed! Photo credit: Courtesy of Epsilon. Krystle Loyland's success has been fueled by determination and hustle. 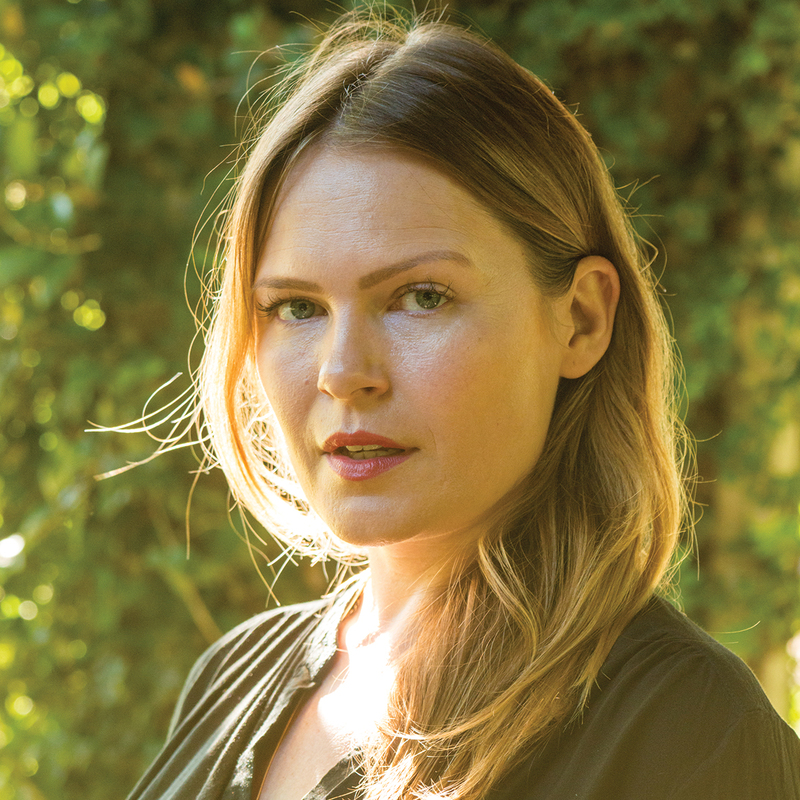 The words come up often as she describes her high school and college job in TV journalism, how she landed a coveted position at Mother (hot toddies were involved) or when she helped build her dream agency in Austin, Texas. Loyland is co-founder and CEO of Preacher, a full-service creative company that's home to 40 employees and category-challenging brands such as Crate & Barrel, Squarespace, Tommy John, Beam Suntory, Venmo and Bumble. Founded in 2014 by Loyland and two Mother New York colleagues, the agency doubled its revenue last year and is quickly becoming known for its mold-breaking creative. Preacher was recently recognized as an Ad Age Agency to Watch and Creativity Innovator Standout. Loyland attributes this success to her teams' ability to see themselves as true business partners. "We care about our clients' businesses as much as they do," said Loyland. "We want to help their brands succeed. If they trust us and believe we care, then we can have really honest conversations about what needs to get done and get to great work." She also believes the agency's "naive ambition" aids it in producing outstanding work. "We have a bit more freedom to ignore some of the factors that can hold the creative back," said Loyland. "Our job is to inspire fearlessness, swagger and the ability to dream big. With strategic rigor in place too, it's easier to make bold outside bets in the work." Preacher's approach produced Squarespace's most subversive campaign of 2017, "Playing Lynch," and Samsung's beautifully captured spot that shows the impact of VR on those who experience it. "As owners, the one thing we can always do well is protect the front door," she said. "This means we hire the most talented, generous and committed people we can find, in addition to engaging with clients and products and services we really believe in." It's hard to have regrets when Preacher is where my path has led, but in retrospect, I probably didn't need to put on the famous Burger King Whopperettes "top bun" costume and wear it in front of the entire Crispin Porter & Bogusky office. Those Myspace photos still haunt me. Ask for help more often and with more confidence. When we started Preacher and had no choice but to ask for help, I realized how generous people can be with their time, talents and wisdom if you just ask. And the people who are best at this constantly changing industry have the confidence to know that they don't know everything. We must learn to be really expert at knowing when and how to ask for help--and be just as generous at giving it, too. Somewhere there exists betacam tapes of me as an NBC4 Amarillo weekend reporter doing on-air packages. My area of focus was on hard-hitting assignments like mud-wrestling fundraisers and low-rider shows. I'm so glad this happened prior to YouTube. Photo credit: Krystle Loyland: Greg Giannukos; Christine Fruechte: Treleven Photography. Lauren Lumsden has been a prom queen and a ranch-hand, and she knows the secret to making Krispy Kreme doughnuts. Today, she is a certified social media and digital guru who heads Condé Nast Entertainment's The Scene, where she discovered another elusive recipe, this time for viral videos, capturing the cultural mood and getting views. I'd be less afraid to ask for help, ask important people for coffee, make big ideas in pitch meetings. Less afraid to be creative. In my early 20s, I was so consumed with how I thought I needed to be rather than work outside the perfect framework. When I interviewed with DailyCandy, the CEO didn't care at all about my internships. We just talked about the time I worked on a ranch in Wyoming. I think that's what got me the job. I can't even stress how necessary it is. At an old employer, a friend of mine, a man, was once brought into interview for a similar position to mine. When he told me what they offered him for salary, I gasped. I would have been making 75 cents on the dollar. We always worked in the same industry. Same age and same experience. It was really crazy and we had such similar backgrounds. Now, I'm incredibly lucky, where a lot of people in charge are women. I was the prom queen, but if you know me I've probably told you about it. I actually have my prom queen trophy on my desk at work. It was only because we did a shoot and needed some kind of set that looked like it was from high school. So I brought it in. Was it set up on purpose so I could bring it in? Who knows? Photo credit: Courtesy of Conde Nast Entertainment. 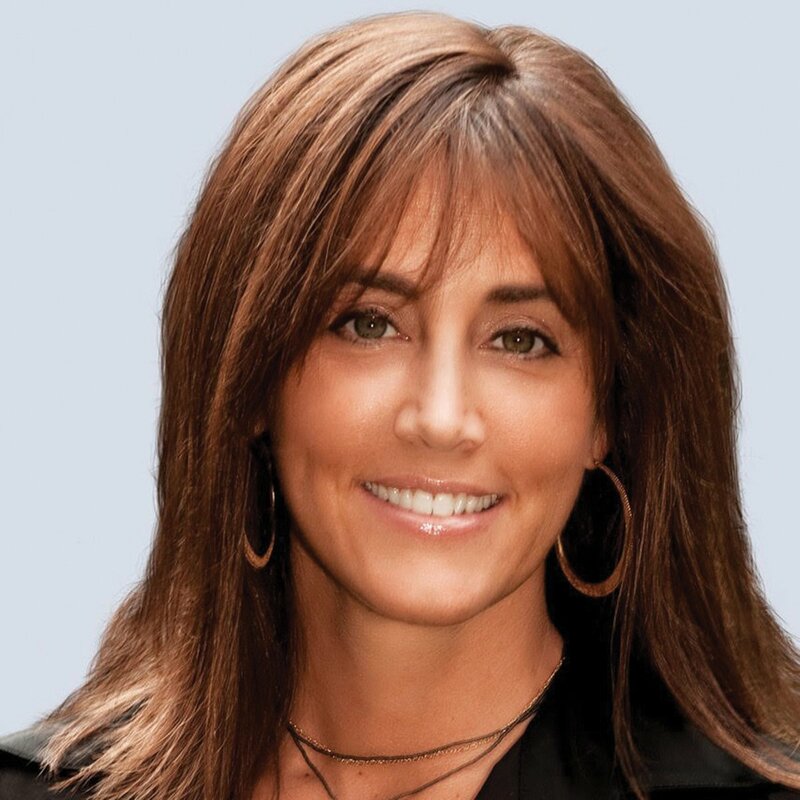 Back in 2000, when Danielle Maged was kicking the tires on becoming a consultant to secondary-market ticket startup StubHub, the executive to whom she once reported at NBA Entertainment tried to talk her out of making the leap. Now the NBA commissioner, Adam Silver recalls that by the end of that advisory meeting, Maged had not only informed him that she was throwing in her lot with what he'd considered a fly-by-night company, but also secured a deal for StubHub to resell NBA tickets. 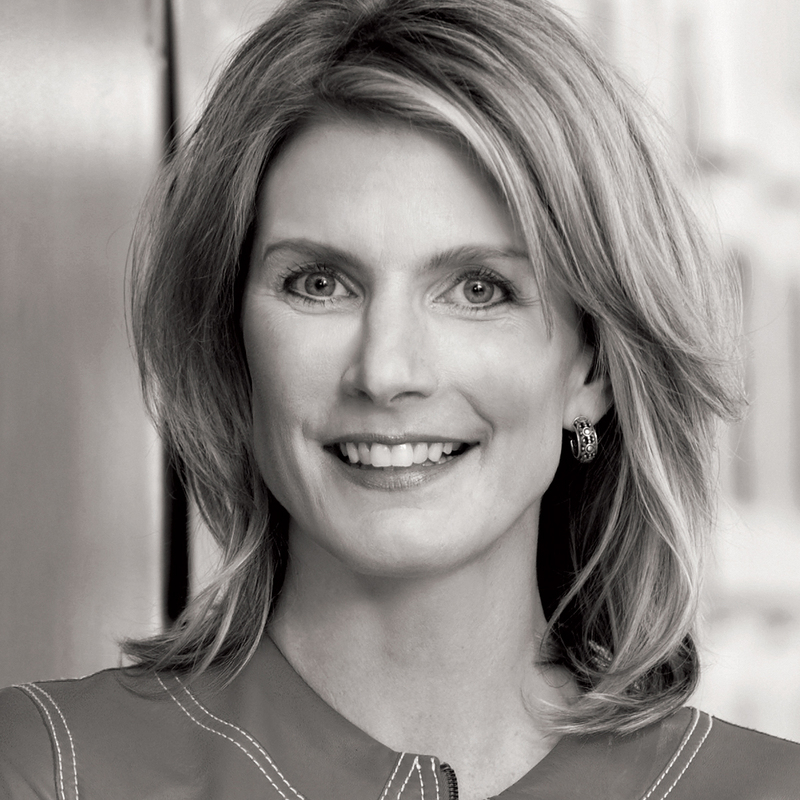 She brought that unparalleled aptitude for deal-making to Fox in 2015 following the departure of Ad Sales President Toby Byrne just before the start of the 2016-17 broadcast season and was one of three execs to steer day-to-day operations of the group's sales operations. Maged leads the creation, development and execution of strategic partnerships across the domestic and international media assets of Fox Networks Group and 21st Century Fox and oversees sales for National Geographic Partners. I almost didn't take an incredible job with a startup that later became a household name and reinvented an industry because I didn't think I could handle it at that stage in my life. I felt I potentially wouldn't be able to balance the responsibilities, time required and commitment, and I was nervous I would fail. Well, I did take it -- and it was one of the most gratifying and incredible personal and professional experiences. I learned that even when there is an inkling of self-doubt, to take the leap, be confident and just do the best you can. What's the worst that can happen? I would start off with the understanding that my career may not necessarily be linear, that I could and would potentially cross over into different kind of companies and functions. When I mentor people, I repeat this over and over. 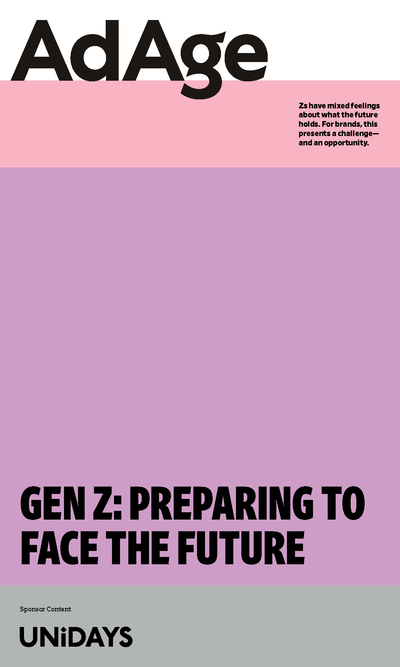 Everyone, especially young people, should have a really open view of how they can take their talents and what they love to do and apply those to broad ecosystems. The world has changed so much in such a short time; there are verticals and industries that didn't even exist 10 years ago, let alone three years ago. Your career does not have to follow a linear path; what may seem like a sidestep at any given time could actually turn out to be something very powerful and gratifying. It just may not be obvious at the time. This one is hard -- I have a lot of quirks. OK, how about that I have seen every Steven Seagal movie -- more than once. Don't ask. Photo credit: Courtesy of Fox Networks Group. Thanks to acclaimed dramas "Queen Sugar" and "Greenleaf," 2016 was the highest-rated and most-watched year for Oprah Winfrey's channel since it launched in 2011. 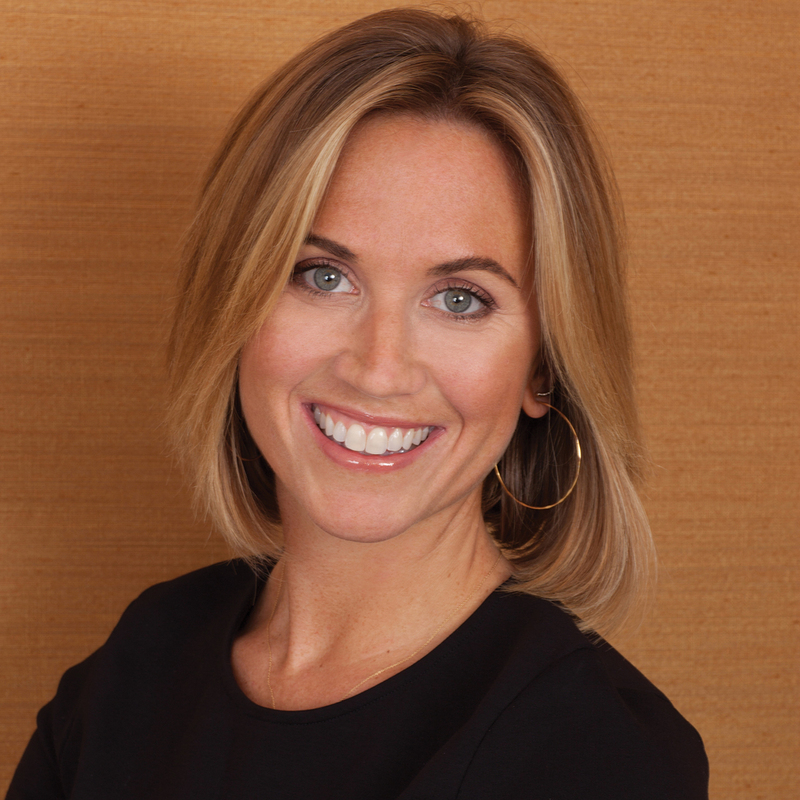 It was also a significant year for ad revenue, thanks to Kate Mitchell, who is responsible for the network's ad partnerships with mega-marketers like Procter & Gamble, Walmart and Johnson & Johnson. Mitchell has been leading OWN's ad sales efforts since the channel launched and has helped grow national revenue by double digits year-over-year. And it was Mitchell who spearheaded a partnership between Amazon and Oprah's Favorite Things, which brought new business to all brand platforms. The biggest mistake I made early in my career was feeling like I needed to speak up in every meeting. Listening can be as powerful as speaking. In turn, I found when I did speak up, my voice carried much more weight. My first job was as a waitress. That's when I really started to realize that I can talk to anyone and sell them anything. My husband -- then boyfriend -- and I were finalists to be on "The Amazing Race." I think it worked out for the best that we didn't make it. Photo credit: Scott Wintrow/Gamut Photos. 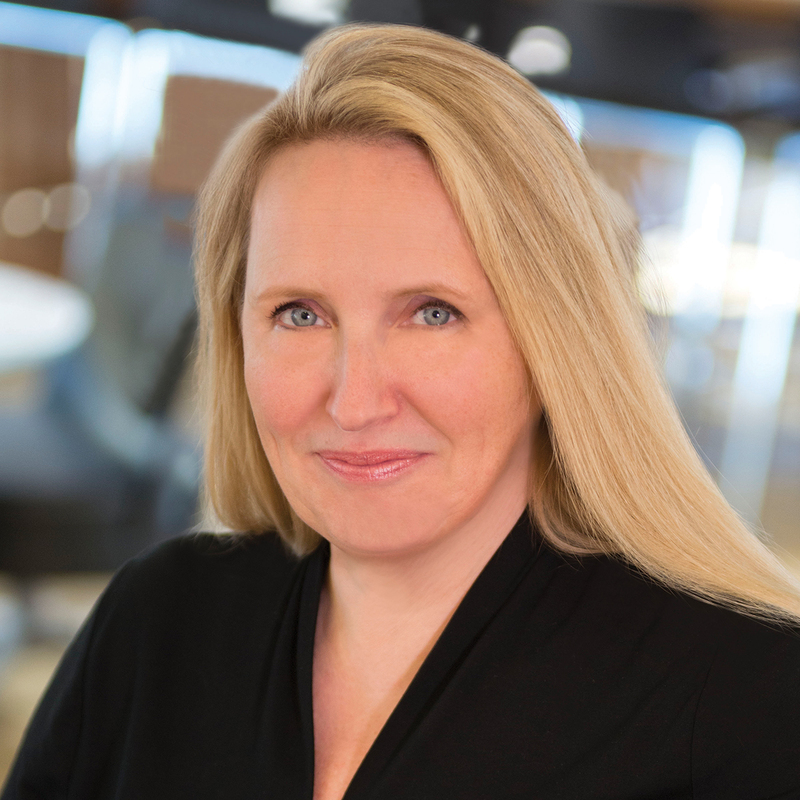 Though only four months into her role as CMO at Leo Burnett, Katie Newman says she wants to be remembered for helping transform the company from its roots as an iconic creative agency into a creative solutions company backed by data and technology. 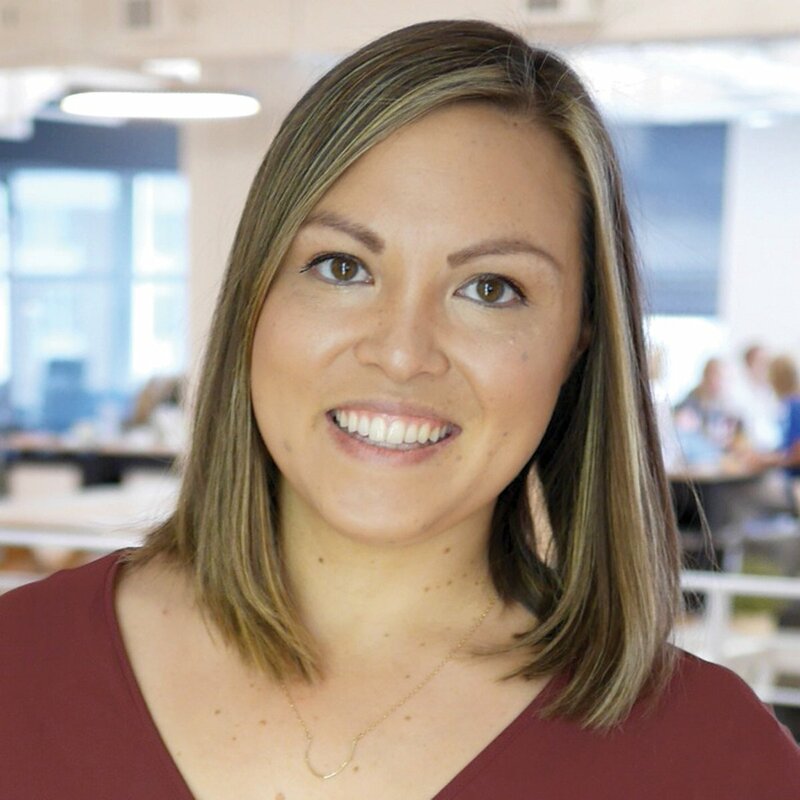 Newman, who spent most of her career in account management, most recently helped build a trio of startups focused on marketing, data and technology -- two of which Leo Burnett acquired this year. My first job was when I was 13. I worked at a telemarketing company. I sold everything from Disney Cruise (trips) to cellphone packages, you name it. My family said they'd help me buy a car when I turned 16 if I started working when I was really young. I think that it was a good job, in that it teaches you rejection … you're on the phone all day long trying to make a sale. It's actually not that different than what we're doing today in advertising. You have to think fast on your feet and be prepared for some no's sometimes. What is the biggest mistake in your career and what did you learn from it? A few years ago, I sent this heartfelt note to a group of clients to help them retain this business. But the email actually autocorrected the word "client" to "clown" throughout. So it was really a terrible lesson on the importance of doing a manual spell check and not relying on [autocorrect]. I'm really lucky that, fortunately, these clients actually found humor during a really dark period and they stuck around. But the note said, "You're such important clowns to us. We value clowns like you." Actually taking the time to show gratitude for others. I know when I was a lot younger I left jobs early in my career, not necessarily for more money but just because I didn't feel appreciated. So I don't ever want our talent here to feel like they're not appreciated, especially when they're working hard and doing a great job. The second thing, I'd say, is not to sweat the small stuff. I spent a lot of time lying awake at night obsessing over minutiae that in the grand scheme of things doesn't matter. When you waste headspace on little things, you're blocking energy to actually take on more and do more and be more productive. Last thing… Always clear your search history before you hand your computer over to IT. Photo credit: Courtesy of Leo Burnett. 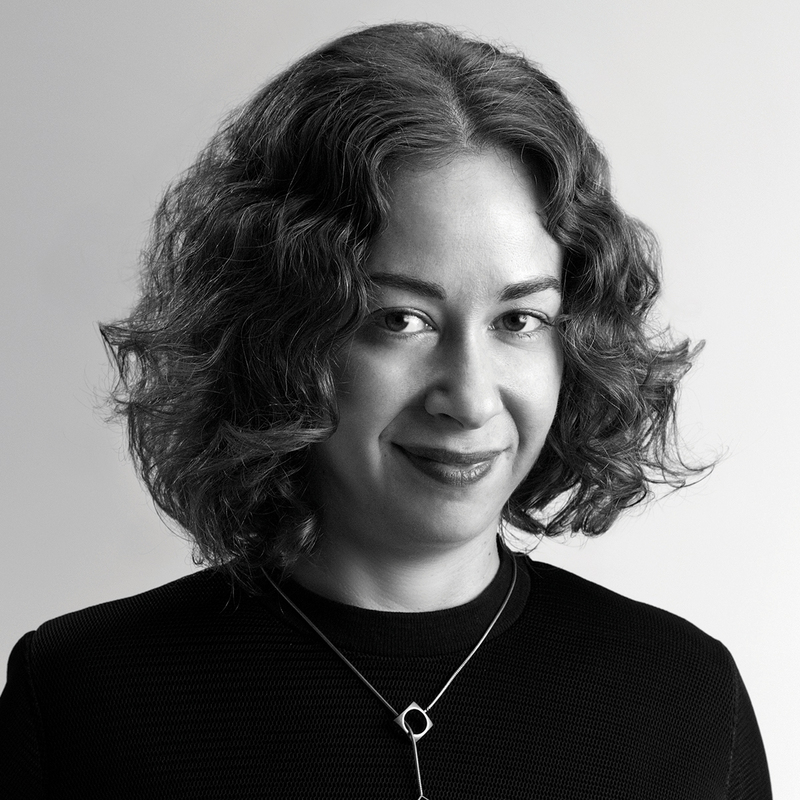 Last year, FCB New York was a little downtrodden following some major senior leadership turnover, but morale lifted after Karyn Rockwell took the helm in March 2016, bringing on new management and production and creative talent. The newly collaborative environment helped the shop produce head-turning work such as the "Little Lungs" spot for the Food and Drug Administration and "Student Body Armor," which raised awareness of the dangers associated with college campus pro-gun laws. Not trusting my gut. I've kicked myself a few times saying, "I told you so, Karyn." When I don't trust my gut, decisions don't feel authentic and it's hard to get behind them. I put my heart and soul into things, and if my gut isn't along for the ride, it's dangerous for me. Folding sweaters at Benetton. There were very few jobs when I graduated. It was a tough market. I will never forget that one of my co-workers laughed in my face and said I couldn't break into advertising. Well, now I've broken the glass ceiling! I ran the 440-yard dash in the Junior Olympics when I was 10 years old. Finished second to last. Photo credit: Courtesy of FCB New York. 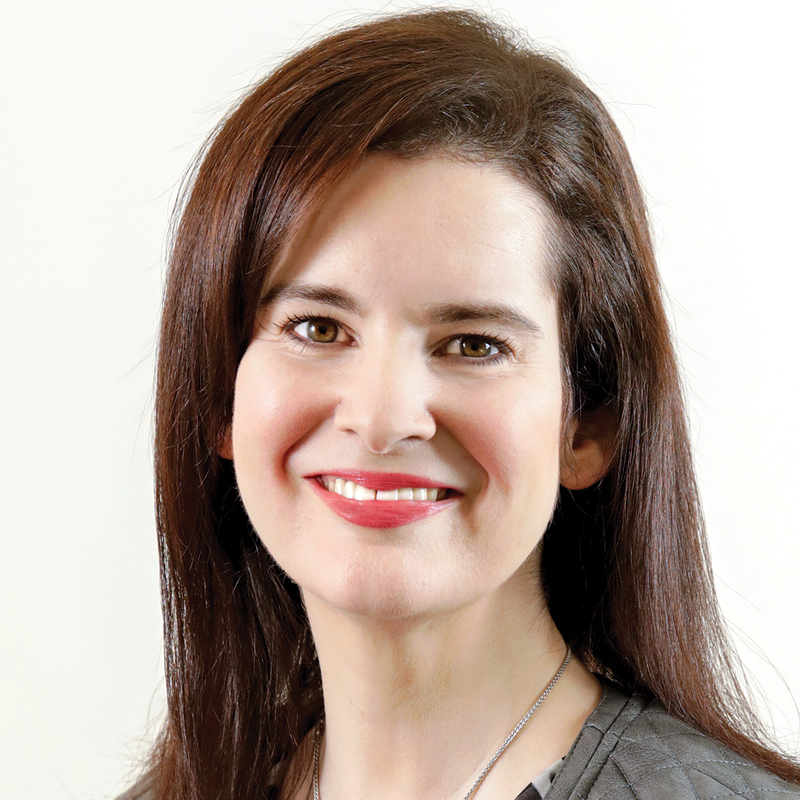 Julie Scott has quadrupled revenue for Onion Labs, The Onion's native content arm, since joining in 2016. The industry vet has 20 years experience on the agency side, but made the leap to publishing after recognizing that brands had a hunger for authentic native content rather than more commercials. Have a voice from Day 1. Early in my career, I was so afraid of saying the wrong thing or having a bad idea. Basically, I was afraid of failing in front of others. I learned from other men and women who boldly shared their thoughts. So many times I would think to myself, "That's exactly what I was thinking. … Why didn't I say it out loud?" Eventually, I did, and I think that's when my career truly took off. I watched "Melrose Place" in college and I remember Courtney Thorne-Smith's character worked in advertising. It seemed so glamorous. I couldn't wait to get out into the ad world. And then I landed my first job at Peter Mayer Advertising in New Orleans. My first client: Delta Queen Steamboat Co., a paddlewheel steamboat cruise for senior citizens. Let's just say the glamour was much different than "Melrose Place" promised. Now, why would I tell you that? Photo credit: Courtesy of Onion Labs. 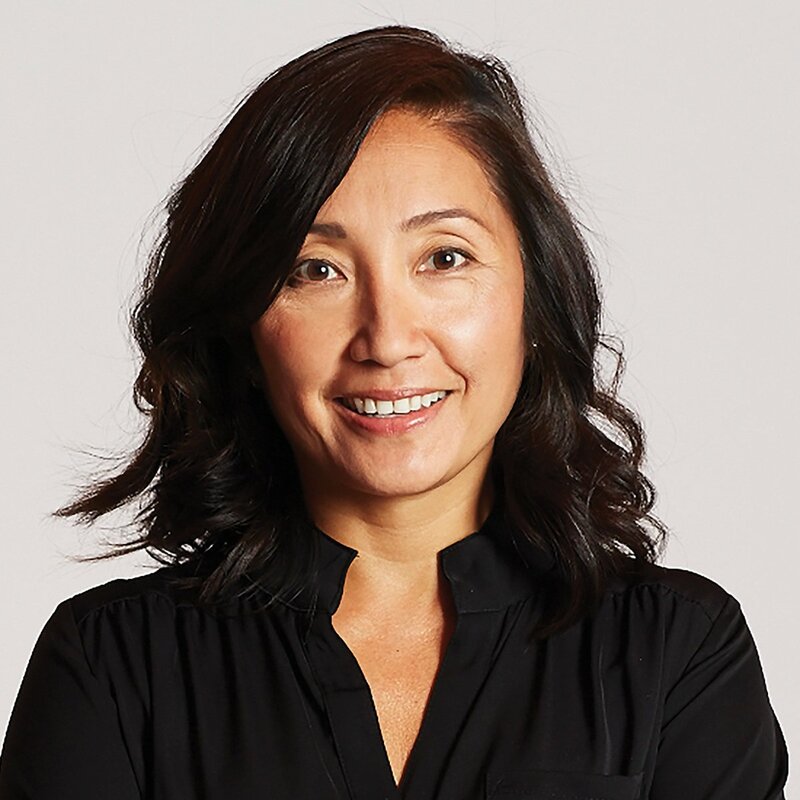 Since joining Publicis New York in 2014, Carla Serrano has upped the new business trajectory with wins from big names like Walmart, Hewlett Packard Enterprise and Procter & Gamble Dish Care. 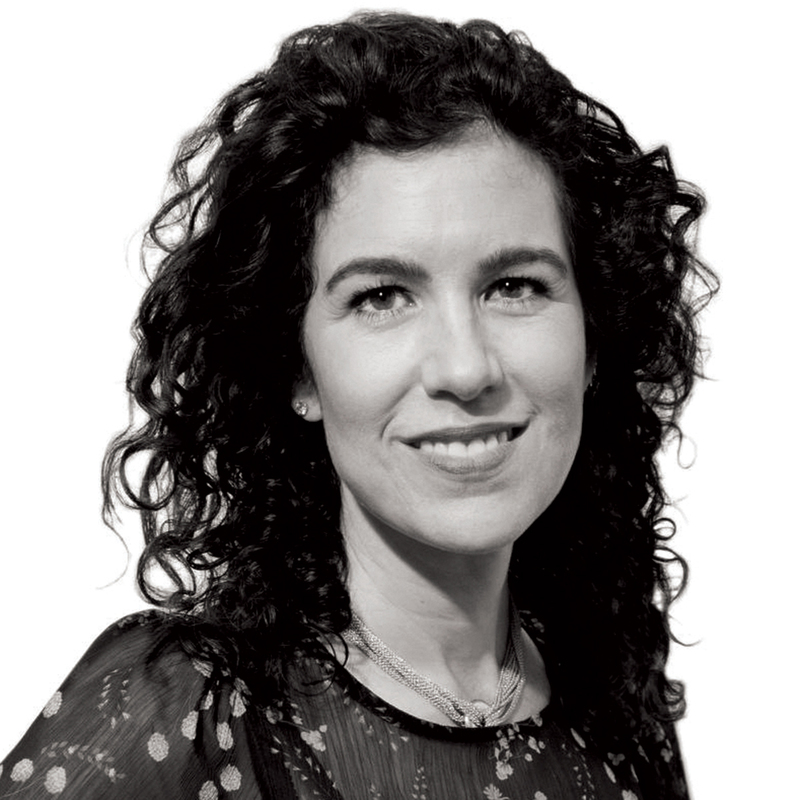 Serrano has also been behind transformative work for legacy clients such as Citi, P&G, Cadillac and Heineken, resulting in her earning the global chief strategy officer title for Publicis Communications in September 2016. I do not actually believe there is such a thing as the "biggest mistake." We are all a collection of the many little mistakes we make, and the challenges we face along the way. What we learn from them makes us who we are. One thing I have learned from my mistakes is to come clean quickly, own them with courage, shake them off, learn from them and move forward. Mistakes make us better. The current tone of the conversation has not been honest enough, or maybe not open enough to dig into the true nature and nuance of reality. This is because it is mired in political correctness, fear and judgment. The conversation can become stalled, making it impossible to truly solve issues and evolve. Actions, not words. That is probably a more effective way forward. A unicycling clown for the Canadian National Exhibition parade. It was my first legitimate paycheck and I'll never forget it. Photo credit: Courtesy of Publicis. 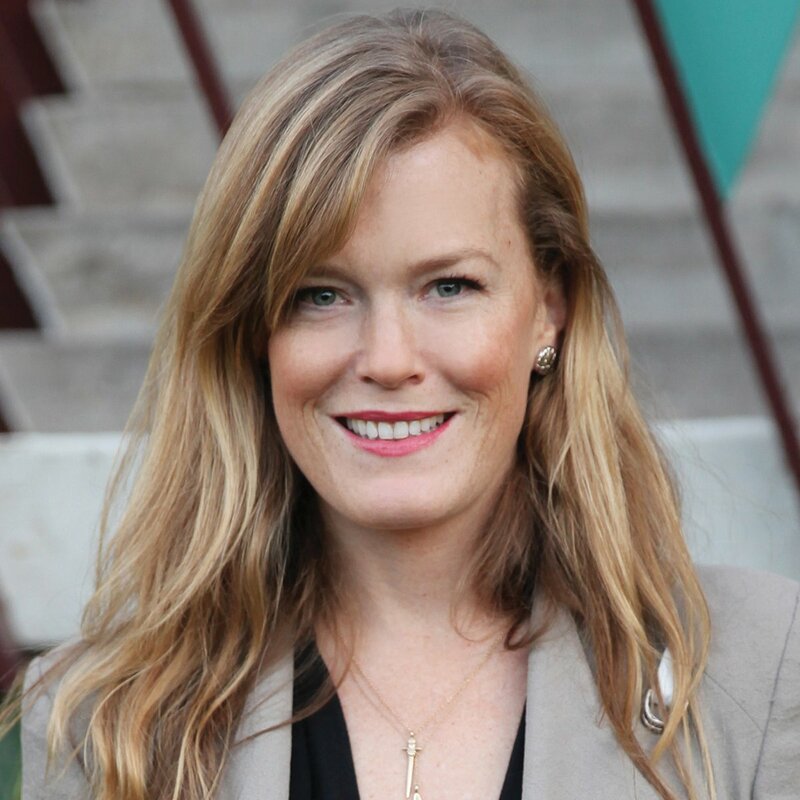 As president and chief revenue officer of SheKnows Media, a digital media company for women, Samantha Skey is at the forefront of strengthening the role of women in business. Skey, who says she coined the term "femvertising" three years ago, is spreading the message of female empowerment in advertising through the Femvertising Awards, an annual program that has honored brands such as General Mills and Dove, and "The Pitch," a video series where female entrepreneurs can improve their pitching skills. It is necessary, but it should evolve to address specific systems that could improve diversity in the workplace in general. Safe, affordable childcare is a huge problem for the majority of the population. This issue addresses women's success more than men's. We need to focus on addressing this problem. I'm also interested in the quantifiable benefits of diversity in the workplace. It's hard to make change when you focus solely on fairness or on "the right thing to do." I focus more on the best interests of bottom line -- and I believe that an increase in women leaders drives bottom-line results. I was an assistant to an international literary scout. It taught me a lot about hierarchy and inspired my decision to join a web-based gaming startup in 1995. I have a second family in Wichita. Just kidding. I have massive anxiety when speaking publicly, and afterwards I can't remember much of what I said. Photo credit: Courtesy of SheKnows Media. 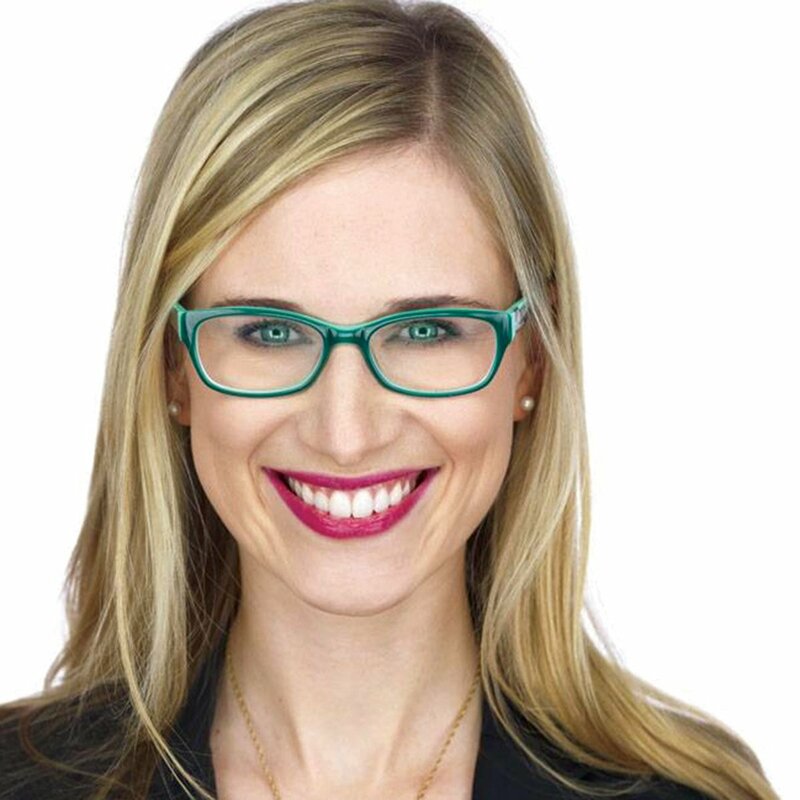 Not every 28-year-old controls $900 million in media spending, but Tracy Stallard does. She began her career as an Anheuser-Busch InBev global management trainee in 2011, and shows no signs of slowing down. 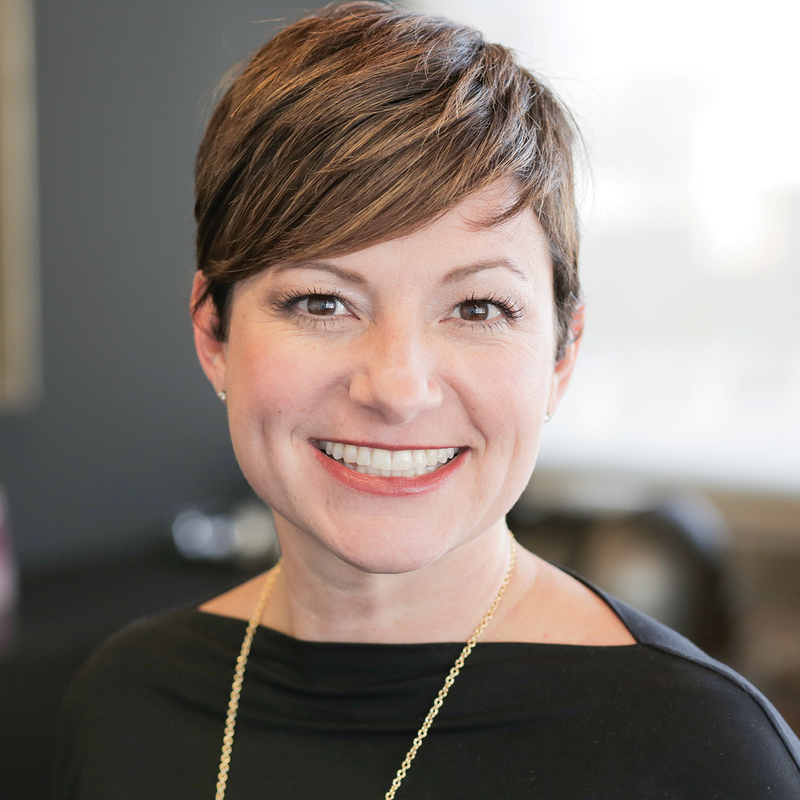 After stops in areas including commercial pricing and sales strategy, labor negotiations and Bud Light's media team, she became head of U.S. media in 2016, where her mix of creativity and data-driven methods help the brewer connect with consumers. What was the biggest mistake you made and what did you learn from it? The biggest mistake I've made in my career so far was believing my career path was predefined. I studied engineering in college, and thought that meant I'd be boxed into more technical roles. In my first job, someone told me they thought I'd do well in sales, and I thought they were crazy! Fast-forward to today—some would say my current role in media planning and buying is unusual for someone with my background, but I find that it's been an asset in helping me navigate the increasingly complex and data-driven media world. I truly believe that a love for learning and education is the greatest skill anyone can have. With a zeal for learning, you can become anything you want to be. My generation is one of the first fortunate enough to grow up with the belief that women can be anything we want to be. However, for women, career success often requires the belief of not just yourself, but those around you. I've been fortunate so far to work with men and women who have believed in my potential and supported my career, and that has made all the difference. My first post-college job was as a global management trainee at Anheuser-Busch. In this role, I spent time working in many different functions across the company from the bottling lines in our breweries to the retailer accounts we stock and sell through. This taught me two important things: One, every role we have in the company is critical to achieve our dream of being the best beer company in the world; and two, I can learn something new and valuable from almost anyone. Photo credit: Courtesy of AB InBev. I had the pleasure of interviewing Robyn Streisand and I was blown away by how many things we had in common: She's driven, focused, fearless, resourceful, creative, a rainmaker, a connector ... and she also happens to be from Queens, N.Y. When Ad Age asked me to do this, the stars aligned for me to finally meet Robyn—ironically, one month after a mutual friend advised me that I should meet her. We are both passionate about the concept of inclusion and empowerment for all, and believe that the antiquated methods of the "diversity" approach need retooling. Robyn's groundbreaking, yet organic, approach to creating a collective of diverse agencies, centralizing it all in one place, truly reflects the ever evolving marketplace. It's refreshing and a reason to have hope that one day we will be able to abolish the endless annual panels discussing the advertising industry's diversity deficiency in spending and senior-level hiring and retention. (And yes, she is second cousin to Barbra Streisand.) I am excited to see how the Titanium Worldwide collective challenges standard agency hiring practices and outdated mentalities that have preserved the status quo for decades. What is the biggest mistake you made in your career? I have hired many people impulsively. I have a tendency to look for the greatness in people, and get suckered into who they are, not what they can do for my agency. I've learned to have the final say in the decision, but I don't handle the initial looking or interviewing anymore. It's a blessing and a curse. I'd have a business partner ... it's lonely at the top. One hundred percent necessary, but where I focus is on the empowerment of all diverse audience segments in the workplace, whether you are an entrepreneur or work for a Fortune 500 brand, we are seeking equal opportunity across the board. "Diversity as a Business Strategy" is my mantra, and Titanium Worldwide was a manifestation of this strategy. Photo credit: Robyn Steisand: Topher Scott; Shante Bacon: Courtesy of 135th Street Agency. Lisa Sugar's love for pop culture led her to start writing a blog in 2005 that had a million regular readers within a year. She turned that into PopSugar, an independent media company for young women with a monthly worldwide audience of more than 100 million, 300 million video views and 2.5 billion content views. I've made so many mistakes, but I'm not sure I can pinpoint one specific one. What I've learned from them is the more important takeaway. There were the early days in advertising -- managing multimillion-dollar budgets and staring at Excel sheets all day long -- where I realized I needed to have a different job to the more recent screwups where I didn't move fast enough to hire someone I really wanted or wasn't aggressive enough to get the exclusive. In those cases, I've learned new strategies to make sure I don't lose the next time. I've gotten more thankful and confident in what I can take away from my many mistakes. When I started writing, the dot-com and desktop were the only ways to create and share content in hopes of finding an audience. Nowadays, there are a million places and platforms to share stories with different audiences. Today, I would not be as worried about how a home page looks. We concentrate more on which platforms to share specific stories and original content for varying audiences, all of which are interested in the PopSugar POV. Most everything else is the same and would not change, such as our voice, our mission and our values. We work fast and write a lot about whatever is getting us excited that we want to share. We create conversations around and inspire confidence, happiness and action on everything from kick-starting a healthier lifestyle to buying a new pair of shoes. Not that it's a secret, but I don't think people know how bad it really is that I am a total beauty junkie. My husband can't stand all the stuff I bring home to test and play with. And even though I tend to keep a simple, wearable day-to-day look, I could spend hours every day discovering new brands and testing and trying new products. I can never have too many. It's definitely my guilty pleasure. Photo credit: Courtesy of PopSugar. The greatest leaders have three core qualities: curiosity, generosity of spirit and the optimistic belief that anything is possible. Watch Karin Timpone work for long and you'll witness the trifecta. I had the pleasure of getting to know and partner with Karin when she was a client of mine at MEC. She delights in everything that's fresh and exciting in marketing. Addressing a key area of loyalty, Karin identified a partnership opportunity with Facebook allowing for new insights and membership connections. You can't walk away from a conversation with Karin without thinking about an idea or thought differently, or without learning something new. I once joined one of Karin's global all-staff meetings to discuss key trends and saw firsthand how she inspires the people in her organization to see all possibilities. As ideas are shared, Karin encourages her team to iterate and expand to think even bolder, like with a recent activation for Coachella connecting with next-generation travelers. Karin is all about creating memorable experiences for customers and ensuring that every moment of the journey is special. That vision led to original content creation, the creation of Marriott's M Live real-time marketing command center and the introduction of Marriott Traveler, the online publication that's become a popular travel and lifestyle site. Early in my career, I didn't fully quantify the amount of time and support that my spouse was providing me. He really helps enable the focus and attention I spend on work, so I learned I had to better prioritize my personal life in the same way I think about my professional responsibilities. Thankfully, I have a really keen sense of this now and my husband and I actively plan our personal time together, which feels so much better. I'd probably learn how to code. Throughout my career, I've been doing a lot of early stage digital work that has even touched digital product management. I really like the creative possibilities that new technology platforms provide, and learning the language of code seems like something that would be handy when starting out. I really want to explore creative writing for fun—haven't started yet, but thinking about it. Photo credit: Karin Timpone: Courtesy of Marriott International. Marla Kaplowitz: Leslie Parrott. 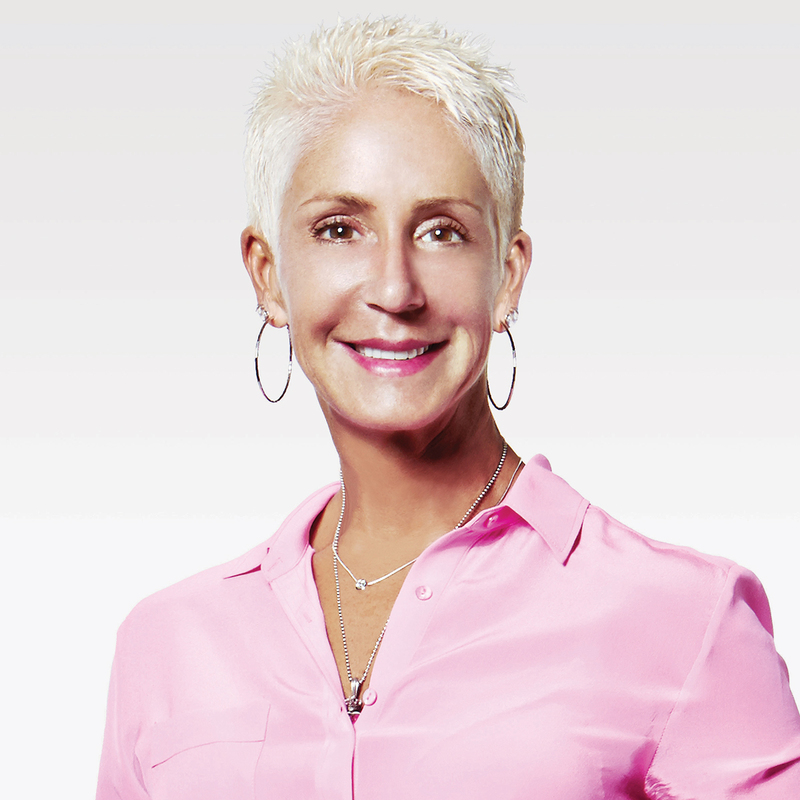 Thanks to Janey Whiteside, AmEx cardholders are friends with benefits. Not only did Whiteside expand the company's recently redesigned platinum card into new areas, like a Coachella sponsorship, she added a celebrity twist by naming Pharrell Williams creative director. She also put together an advisory board of influencers to offer cultural insight and trends for card members, while adding travel reward perks like a private showing of "Hamilton" and a partnership with Uber. Years ago, I worked for a leader who managed through intimidation and fear. I have always regretted not speaking up and, in turn, allowing others to be subjected to the same treatment. Not only did I learn from this experience the type of leader I did not want to be, but it also encouraged me to be an advocate for others, at all experience levels, to speak up no matter who's in the room. My very first job was working in an ice cream van at a cricket ground in England. Last year, I attended my first TED conference in Vancouver, which is something I've always wanted to do. I left feeling truly transformed and inspired by the many of the presenters I met and heard speak. But what I've never revealed is that this experience also sparked a secret ambition of mine -- I would like to attend another conference, but this time onstage. Photo credit: Courtesy of American Express. Consumers don't typically think of an insurance company as a dream-maker, but thanks to Telisa Yancy and her three-year-old "Insure Carefully, Dream Fearlessly" campaign, the image works for American Family Insurance. As CMO at the Madison, Wisc.-based firm, Yancy has innovated in the category with refreshingly upfront advertising about the role of an insurance brand, separating itself from competitors that highlight price and humor in marketing. I once took a job more for title and money rather than "love of the brand" and cultural fit. I quickly learned that value alignment, culture and working with like-minded people are a force multiplier and should never be discounted. I learned that title and money cannot replace working with great people on an incredible brand creating work that really matters to the customer. If I were starting out today, I would most likely take the exact same path, and I would add some additional study and experience, including hands-on coding and learning to speak additional languages fluently. Knowledge of the coding ecosystem is critical to all areas of business now and can enhance how quickly you can impact the business. Being able to communicate with people in their own language is part of telling a compelling story, which is critical to vision-casting. The conversation about women and diversity in general is not only necessary, but critical. The world is changing more rapidly than ever, and business has an incredible responsibility to make an impact -- one of the ways we can do this is by proactively having these discussions so that we impact our customers, communities and employees in a positive way. Photo credit: Courtesy of American Family Insurance.